Francisco Junior has started in just five games for Wigan Athletic and only finished the full ninety minutes in one of those. He has spent a large proportion of his time at the club injured and is involved in another scandal involving his behavior off the field. Junior has had a troubled past and some of those demons just don’t seem to go away. But he has nevertheless captured the hearts of so many Wigan Athletic fans with his humility and his sheer footballing ability. His 95th minute winning goal against Swindon on Saturday brought the house down. I had never even heard of Junior when he made his first appearance in a pre-season friendly against Partick Thistle at Firhill. For me he was the best man on the pitch that night. But I just could not understand at the time why a footballer with such talent would not be well known. However, I did some research and contacted Everton fan site Toffeeweb for a fan view. The player has clearly had a chequered past. His move from street football in Guinea-Bissau, a country whose per-capita income is one of the lowest in the world, to Benfica was one for the story books. Playing in that Benfica academy led to him representing Portugal at under-19 and under-21 levels. Still only 23 years of age, he retains those silky skills that one associates with the best of Portuguese players. But Junior has still not been able to convince a club that he is worthy of a regular place in their starting lineup. As a footballer he remains “a work in progress”. 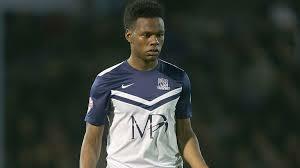 Gary Caldwell initially signed Junior from Everton on a one month loan, which was extended to January. The question is whether Latics will seek prolonging his loan or making him a permanent signing. 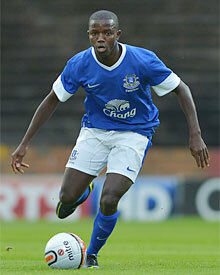 Junior’s contract at Everton is up at the end of the season and he is unlikely to be offered a renewal. The question is whether Caldwell and Latics are willing to take a gamble on the player. Despite not being able to command a regular place in the starting lineup of a League 1 side, Junior as a footballer cannot be written off. He is still young and has genuine talent. Can he be steered towards achieving his potential? Could it happen at Wigan? Despite his lifestyle difficulties, Junior’s humble approach is admirable. A couple of weeks ago he opened his heart – not for the first time – in the guest column for Wigan Today. However, emotion apart, one of his key comments was “If I can keep my fitness up and avoid injury, I can do my best to help the team and achieve my goals”. Francisco Junior has the pre-requisites to play at a level well above that of League 1. When he comes on the field for Latics he invariably alters the style of play. His ball skills and movement make him look a class above many of his colleagues. However, he remains largely unable to stamp his authority on to the 90+ minutes of a regular match. Fitness remains a major issue. Caldwell and his recruitment team have been keen to try to sign the “right kind” of player. Junior is certainly “hungry” for success on the football field, even if his lifestyle excesses provoke questions. Over the next couple of months Francisco Junior needs to show Gary Caldwell that he merits the club making the effort to negotiate with Everton for his release. Up to this point he has made five starts, playing beyond the 55th minute on just two occasions. He has made four appearances off the bench. So many Wigan Athletic supporters are willing Francisco Junior to succeed on the field of play and to overcome his lifestyle problems. He has endeared himself to them through his openness and honesty and his determination to be a better footballer. But the burning issue for Caldwell is whether the player can reach fitness levels commensurate to challenging for a regular place in the starting lineup. If that is not the case, it is unlikely that Latics will endeavour to seek his services beyond January. However, the prospect of a Francisco Junior at the height of physical fitness and revealing his undoubted potential is a mouth-watering prospect for Wigan Athletic fans.